On March 25, the Nuclear Regulatory Commission (NRC) announced that it was fining the utility giant Southern California Edison (SCE) $116,000.00 for violations of Federal Nuclear Safety Law. 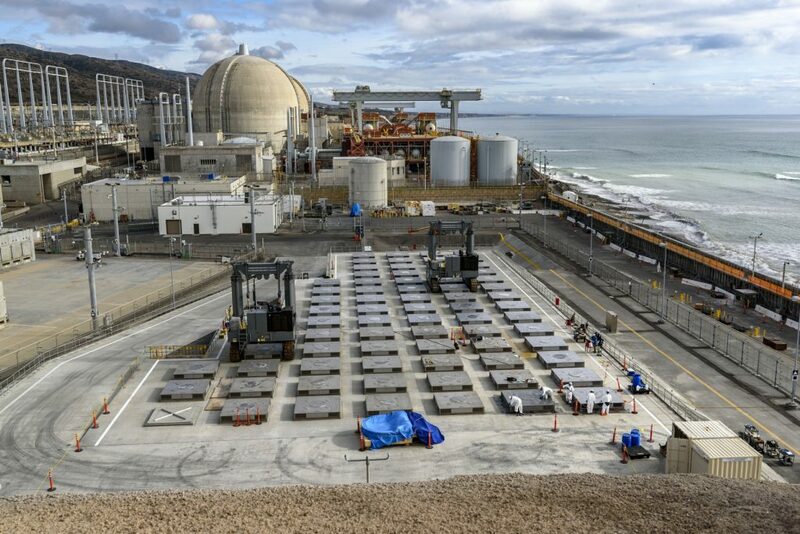 The decision comes as a disappointment to public safety advocates on the grounds that the comparatively paltry fine will pave the way to additional safety lapses in the future at SCE’s controversial beachfront Nuclear Wast Dump, which is located 109-feet from the crashing surf and sugar sand beaches where California surf culture was born. The failed San Onofre Nuclear Generating Station (SONGS) has more than 3.6 million pounds of deadly radioactive nuclear waste that is lethal to all human life for at least a quarter million years. The company is storing the eternally deadly waste in containers that are only guaranteed to last 25-years. The power plant failed in 2012 when equipment that was given a green light by the NRC spewed radiation into the atmosphere outside of the facility. The budget for the SONGS Decommissioning Trust Fund (DTF) is more than $5 billion in monies collected from ratepayers since the early 1970s. In percentage terms, the fine represents 0.000023% of of the total $5.4 billion decommissioning budget. In addition to a painless fine, the NRC announced that it would give another gift to SCE by rewriting the rules, which in the future will allow the utility to damage a nuclear waste canister without taking corrective action. “The NRC’s willingness to change Edison’s permit to allow damages to the containers it is supposed to regulate is a horrific violation of the public trust. The NRC must be investigated” says Charles Langley, executive director of Public Watchdogs. According to Nina Babiarz, a Public Watchdogs board member, Southern California Edison committed at least two blatant violations of NRC law 10 CFR 72.75 when it failed to report safety equipment failures. The first event, which was documented by Public Watchdogs, occurred on July 22, 2018, with an unreported unsecured load event. The second event occurred on August 3, 2018, and it was not reported for almost 45 days. The August 3 incident would not have been made public, as required by Federal law, except it was reported in a public forum by a safety inspector at Edison’s Community Engagement Panel on August 9th. Even after the public disclosure, Edison refused to comply with Federal reporting laws, and waited 41 days to report. The preliminary NRC enforcement action failed to account for the July 22nd near-miss, making the March 25 Webinar look more like a cover-up than a regulatory action. Public knowledge of the details of the unreported July 22nd event could have prevented the August 3rd ‘near-miss’ and potential safety failure because the NRC would have been required to intercede.